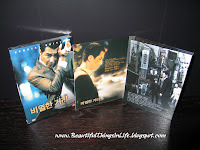 Hi there, where can i buy this dvd?can u tell me, its hard to find the 2 disc special edition. I just checked the frequent and trustworthy site that I buy from, and they are out of stock. This movie was purchased from the US distributor, so they have the copy rights now. The Korean version is already out of print. Your best bet might be eBay. Good luck.